Runners have an innate desire to do what they love: run. Sometimes, life gets in the way, whether it's a work meeting, a parent-teacher conference, lunch with friends or an oil change. But when there's a runner's will, there's a way. Here are five creative ways to log those planned miles without abandoning life's responsibilities. If you work close to home, run as your transportation to work. All this requires is leaving a change of clothes at work the day before and possibly a shower on site. Depending on what type of work you do, showering is always optional; a good body spray will suffice in a bind. If you live far from work, find a commuter parking lot that's close enough to your office that you can run back and forth to work. Or you can run to work and grab a ride back from a co-worker to the commuter lot after work. If hitching a ride from a non-runner, be prepared for the questions about why you would do something so crazy. 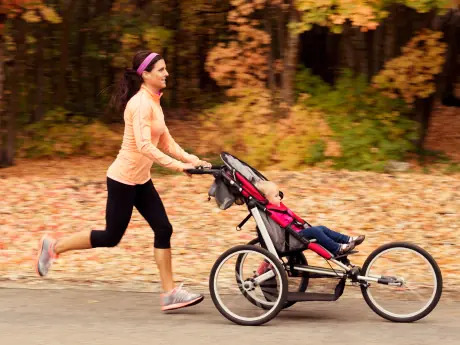 Many runners have children. A weekend filled with the sports and activities of your children can interfere with your running schedule. Instead of sitting in the stands getting grumpy about missing a run for your kid's soccer game, drop him or her off at the game early to warm up while you run around the park or field. You can still watch the warm-up and the game—all while getting your run in. If your spouse also runs, you can take turns running during the two halves of the game. For indoor activities such as swim meets and hockey games, sneak in a high-intensity hill workout by running the stadium stairs. Your quads and glutes will thank you for that one. If your significant other or friend wants to go out but you haven't run yet, a running date is the perfect option. You can talk about your day together, laugh, even challenge each other to intervals. It's healthy quality time together. Afterward, you can share a romantic post-run recovery smoothie. You can also run next to your kids riding their bikes. They think of this as an adventure and as quality time with you while you get your training in.